We Have Bats Up In Here! So the cats are in the bathroom getting into something. I go in and find the shower curtain rod halfway down the wall. I go to push it back up and I notice this big brown something on the wall. Now it’s the bathroom, so the first I think is ..yeah..poop. How the hell did poop get on the wall? Ok, so it wasn’t a rational thought and I look closer. Uh..How the heck did this little guy get in here?!! My first thought was to capture him in a towel, but that worried me. If I didn’t grab him right, he could crawl out in a panic and fly around the house. Then I’d never catch him. So think like you’re capturing a big bug. I need a glass or something big enough to capture him and see what I’m doing when I do. To the kitchen! I’m a woman everything you need to fix something is in the kitchen! I open a cabinet and there’s the answer, a large clear plastic storage container. Now what to put over it. I need cardboard. Of course there’s no handy piece of cardboard anywhere. So I settle for some heavy sheets of printer paper. Back to the bathroom, close the door and take a deep breath. The container over the little guy. Easy enough. Now to get him inside the container. He won’t let go of the wall paper. A little gentle forceful coaxing and he crawls into the container. Now yelling for the kid to come open the bathroom door. Done. He was actually helpful during this irrational event. Which door to take this little guy outside through? The dog is on the back porch and I don’t want to walk down all those stairs to the yard. Front door it is. We go outside and I set him on the grill. I don’t know what I expected him to do, but he doesn’t leave. The kid goes to get the camera while I watch our little friend. Outside in the sun he starts shaking. Cold? Maybe, it’s kind of cool today. Scared? Probably. Poor little guy. I take a few pictures and then try to think of where to put him. Only place I can think of that will give him a little protection from the wind and still help him keep warm is in the nook of the overhang part of the roof on the shed. I put the container up against the wood and he climbs out on the small shelf. Free and safe from harm. He was gone within the hour. Where too? I don’t know. We have a lot of bats around here. And that’s fine with me. I prefer the bats to the mosquitoes. In the world of Shamanism, we believe that animals enter our lives to bring a message from the Great Spirits. To tell us something we need to know about and be ready for. In this field of research, Ted Andrews provides what I consider to be the best information on this topic. In his book Animal Speak, he says this about the Bat. Their energy denotes Transition and Initiation and their cycle of power comes at night. In Babylonia bats represented the souls of the dead. In China they are symbols for happiness and long life. The Mayans saw them as symbols of initiation and rebirth. And to the medieval people of Europe, they were miniature dragons that herald authority and prominence. In a book from Meso-America called Popol Vuh, the bat plays a significant role in initiations of Shamanistic people. The book describes two brothers who must undergo 7 tests. The final test being the passage through a labyrinth in the realm (or house) of Bats. Huge bats fly within this realm that is guarded by Camazotz, the God of Bats. He is a being that has a human body, with the wings and head of a bat. The brothers must pass through this realm before Camazotz decapitates the unwary wanders with his great sword. Scholars today explain this story and its imagery as a reflection of the process of transition for the student shaman. It represents the traditional shaman’s death, breaking down the former self through intense tests and facing their greatest fears. It explains that there is a time to die and let go of the energy (be they material things or thoughts) that will no longer be suitable for the shaman’s life ahead in their service to the community. When Bat enters your life, it’s a message that change has arrived. For some this may mean things can go from bad to worse. But it can also mean that the bad has come to an end and the transition to rebirth has begun; or is about to begin. Change and transformations are blessings. To understand and enjoy the blessing of change, begin by taking or renewing the responsibilities of your life. Open to the power within which will override all fears. Trust in the Divine self for you are the creator of your own universe. When you trust your own inner guidance, your gut feelings, you chase the fears within away. Believing in yourself that you’re following the road set forth by your Divine plan and making the choices that advance your spiritual mission forward. All aspects of the Bat are empowering. They are the only mammal that can fly. They assist the environment by eating harmful bugs by the thousands. Their guano is one of the best fertilizers from nature. Each of these things show us that we too can empower our own lives in the little things we do. Because we are mammals too, the Bat tells us of the promise of good tidings in the chaotic process of change. They reflect the ability to move to new heights with the transitions before us. Bats sleep upside down and can be a reflection of the Hanged Man in the Tarot. They imply great strength and stamina in handling ordeals. The accumulation of wisdom through those ordeals and gaining understandings by looking at the world and events in one’s life from a different perspective. Which brings us to the sight of a Bat. They are not blind at all and the phrase “blind as a bat” is totally wrong. They can see very well in light; but their advantage in sight is seen at night. With their sonar abilities, they can see in all measure of darkness better than any other creature. This ability tells us to let go of the fear of the darkness, that even in the shadows we can find our way. This ability tells us to be aware of our own clairaudience (clear hearing) and to listen to the quiet voices from spirit. This ability will help those with the Bat in their life to hear the subtle messages and implications within other people’s words. You can listen to as much of what’s not being said as what is being spoken. Trust your instincts. The bat is powerful medicine and indicates a new beginning that brings promise and power when transition finally manifests. 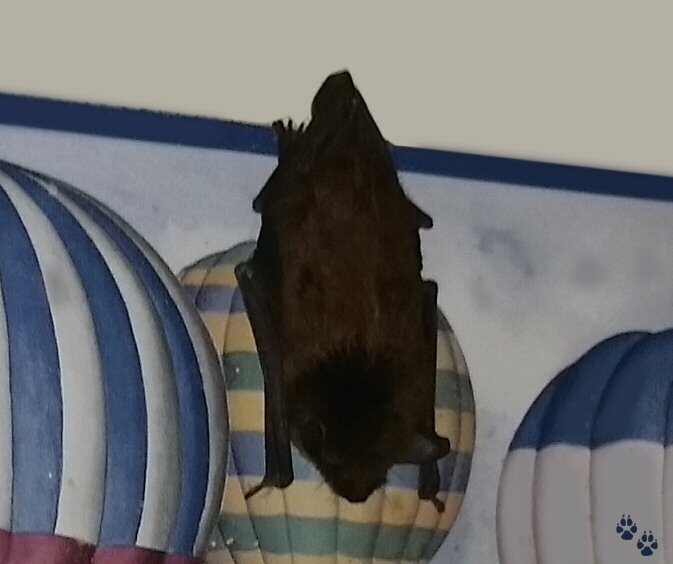 We welcome the Bat and his energy into our home today. I feel blessed by his visit. ← Have A Blessed Memorial Day! Glad you got him out of the house! Thanks so much Spring Wolf ! 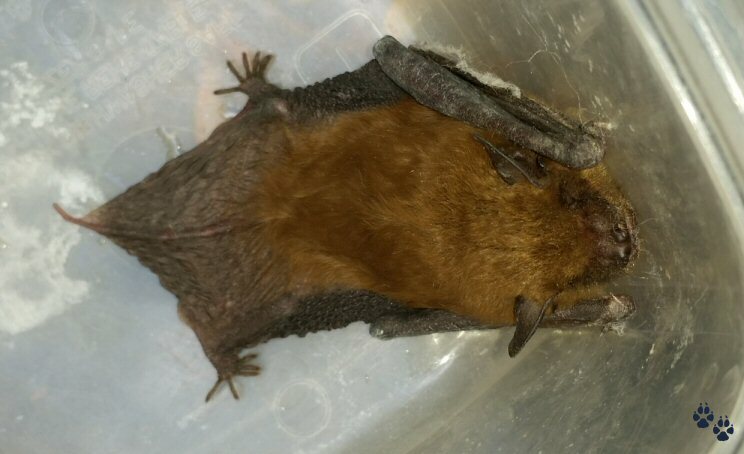 .I have never forgotten the gift of my father of a wee cave bat; as a child myself I didn’t think anything at that time of keeping the wee one in a cage, The day came (several months) my younger brother;right in front of my very eyes released my wee one. Necessary psyche analysis within my own framework, as an adult;; always reverberated to then with my brother; he was only four.